The tags “pudding” and “dessert” may be off-putting if you’re trying to stay within a healthy routine, but don’t let those words fool you when looking at this recipe!! Chia seeds are SO good for you. 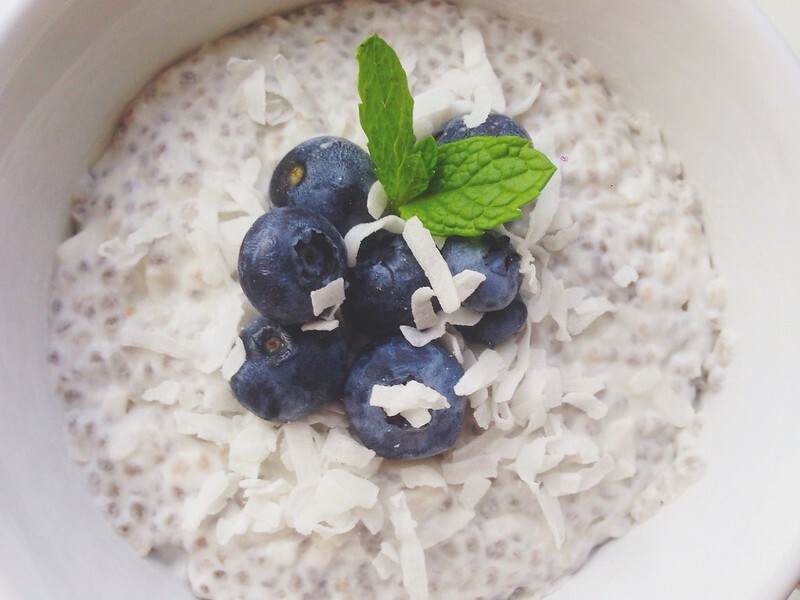 Despite their tiny size, chia seeds are among 1 of the most nutritious foods on the planet! They are loaded with fiber, protein, omega-3 fatty acids, & antioxidants. Nutritionists even believe that chia seeds should aid in weight loss since they keep you full longer (high protein) while simultaneously helping with your digestion (high fiber). That being said, you should try this coconut pudding. Sososo yummy and so nutritious!! Directions: In a small bowl (or a Mason glass jar) combine shredded coconut, chia seeds, coconut milk, coconut water, vanilla, salt and maple syrup (if using). Mix well.